Sue Todd was commissioned to create a maze activity for the March 2017 issue of Click magazine. 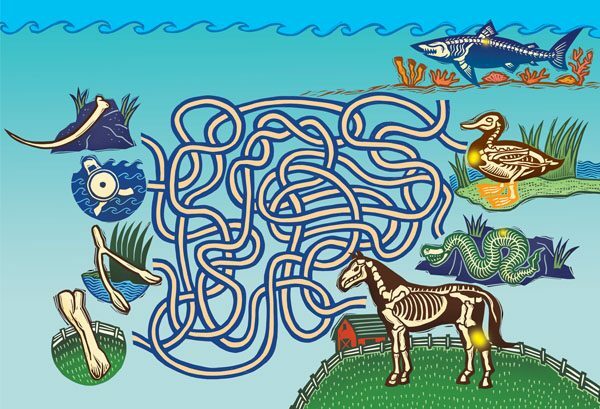 This double page spread has a maze of pathways connecting animals with their missing bones. Sue’s hand-carved linocut art is brightly coloured in Photoshop.